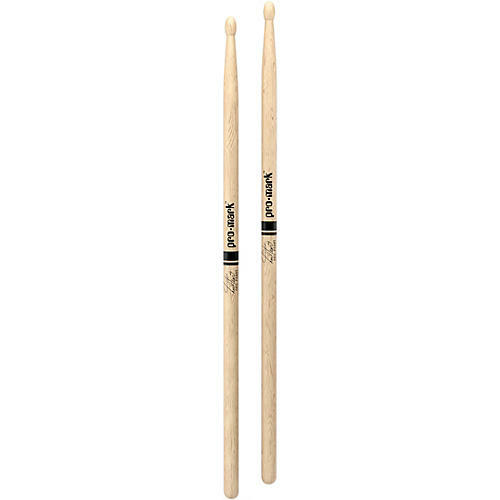 Pro-Mark Neil Peart Autograph Series Drumsticks are the oak 747 wood tip. Rush drummer Peart is one of the most influential drummers in contemporary music. And Neil continues to take the art form to even greater heights. Neil's signature 747's are like a 5A, but longer, with a thicker taper and larger tip. These versatile sticks may be used in quiet applications or when more volume is required. They're heavier in weight than the hickory version.